Incessant rain triggered heavy landslides in two separate places claiming four lives in Tripura on Friday. The first incident of landslide took place at Kambhukcherra village in West Tripura which claimed the lives of three members of a family. 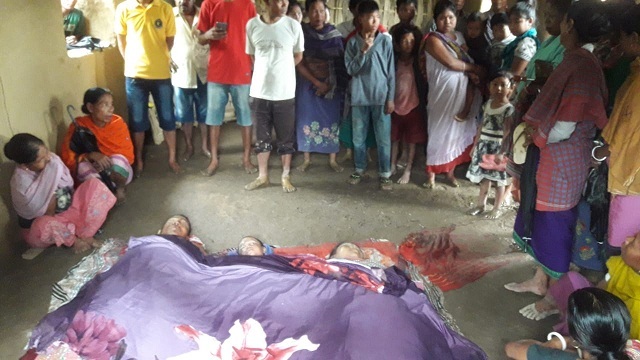 The victims have been identified as Shaniram Debbarma (35), Amritbala Debbarma (30) and Abhi Debbarma (4). Another child Dipankar, trapped under the mud, was rescued in critical condition and rushed to the GB hospital in Agartala. The second incident of landslide took place at Belfungpara village which claimed the life of one Malendra Debbarma (62). The spot is near to Kambhukcherra village where three of a family died. All four are from the tribal community. Life in Tripura came to a halt due to incessant rains throughout the night. 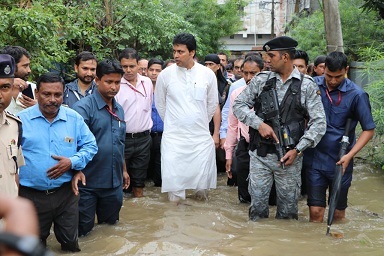 Many localities at Agartala town were submerged under knee-deep water. Tripura Chief Minister Biplab Kumar Deb visited the flood-affected areas and later rushed to the spots of landslides. Union Home Minister Rajnath Singh also called up the Tripura CM and expressed his condolence to the bereaved families. Singh promised to pay ex gratia to the victims’ families as per the law. Education minister Ratan Lal Nath along with MLA Biswaketu Debbarma visited the victims’ families.